Watch a video about youth leadership and NCAI from NCAI's Annual Convention. Through a number of channels, NCAI seeks to support Native Youth in their efforts to help build a brighter future for Indian Country. Watch a video from the news outlet Native Report from the 2009 Annual Convention - NCAI Youth Commission meetings. NCAI’s Youth Commission offers youth ages 16-23 the opportunity to engage on National scale along-side tribal leaders to help address the issues facing Indian Country. 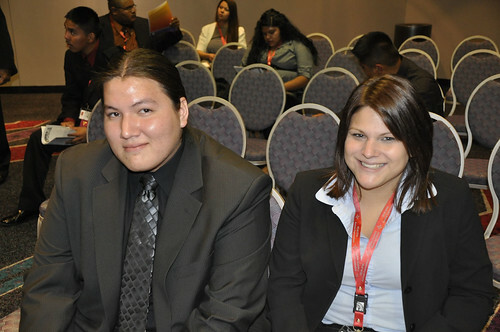 Established in 1997, the NCAI Youth Commission has been a space for tribal youth to come together and discuss solutions to the unique challenges they face within their communities. The new Native “baby boom” is coming of age at a time when tribal nations are facing and meeting challenges in setting youth development and leadership goals. Our sizeable young population represents an unprecedented moment of opportunity for tribes. The choices that Indian Country – including individual tribes – make in the coming years will determine our collective future. Now is the time to build a brighter future that addresses the significant challenges facing Native youth. Recognizing this critical moment, the National Congress of American Indians (NCAI) established the National Native Youth Cabinet (NNYC) to support Native youth and tribal efforts to foster leaders of tomorrow. The goal of the project was to increase the number of American Indian and Alaska Native youth who are prepared with political knowledge and skills to become national and tribal leaders, and to identify strategies for improving policy and data on issues of significance to Native youth. Click here for more information about the National Native Youth Cabinet! 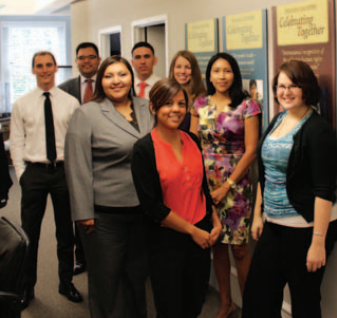 NCAI offers fellowships and internships for students and young professionals to earn valuable experience working with the nation’s oldest, largest, and most representative organization, advocating on behalf of tribal governments. Fellowships last 11 months, while internships are arranged on a case-by-case basis. Native youth under age 25 make up 42 percent of the American Indian and Alaska Native single-race population, while youth only make up 34 percent of the US population. There are 1.2 million American Indian and Alaska Native young people under age 25. There is a large bubble in the 15-19 age group for the AI/AN population.